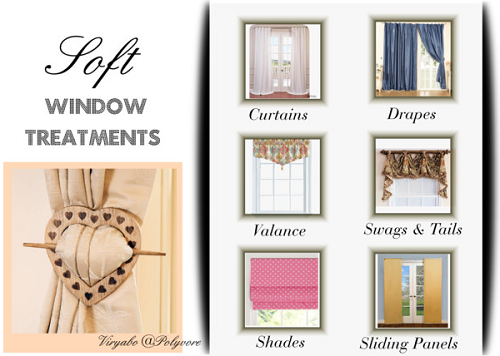 However, this article is about soft window treatments and the basic types that many of us may be familiar with. Its name and description says it all; they are soft window dressings and the materials used for them are generally fabrics and other forms of textiles that range from the soft and sheer light-weight materials like satin, silk, voile, and fine lace, to the more resilient, textured, and heavy-weight fabrics like damask, velvet, and brocade. 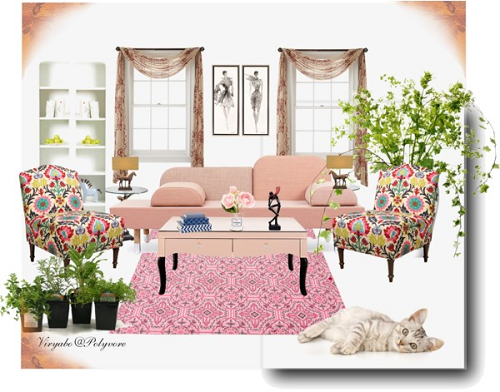 Of them all, drapes are the most popular treatments used as windows decor. Curtains are window dressings that are made with light-weight, sheer, and translucent fabrics which include silk, cotton, voile, and organza. They are less expensive to make than drapes and usually require less material to produce. These kinds of treatments are almost never lined so they don’t give as much privacy as drapery but only when used alone but many homeowners use them paired with blinds or shutters. Curtains on their own are great to use if you live many floors up a high rise building or in an area where you don’t need that much privacy. Drapes are made from heavier weight fabrics and are generally floor-length. They can be made for purely decorative reasons, in which case they’ll be swooped to the sides, held with tie-backs, and remain stationary. Drapery however is made more for functional purposes than aesthetics - open for light during the day, closed for privacy at night, and keeps the room warm in winter. You need lots of material to make drapes. Shades are probably the next preferred style of soft window treatments made from fabric. This type of window treatment is generally made with one piece of fabric that can be raised up or lowered down. Many homeowners love them for their simple but stylish looks, insulating attributes, and their functionality, providing both privacy and light control. And because they are made in fabric, they serve as a good option if you love blinds but prefer one made with some textile that complements the room’s décor, for example, Roman shades. Valances, swags, and tails are purely decorative window dressings and only cover the top (and sides) of a window. They are good for adding extra aesthetics and colour complements or contrasts to an interior space. Sliding fabric panels are modern types of window treatments. Not only are they sleek, clean, and simple-lined, they also cost much less than traditional style window dressings.